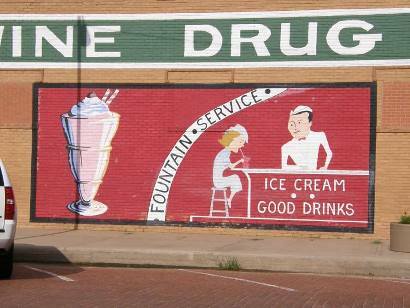 Floydada TX history, naming, landmarks, attractions, photos, forum. The town was established by M.C. Williams in 1890. 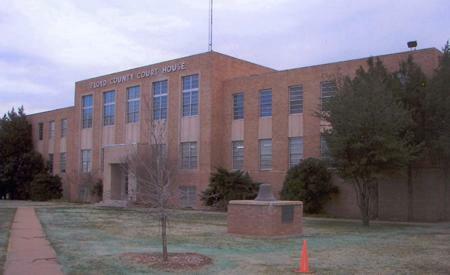 Floydada is designated county seat in an election against Della Plain. The County's namesake was Dolphin Ward Floyd, who died at the Alamo. 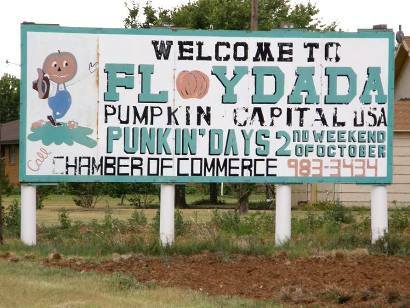 At one time the town's name had been Floyd City. There are at least three versions on how the Ada was added: "Some claim the new name was meant to be Floydalia and was garbled in transmission to Washington; others say it was a combination of the county name and that of donor James Price's mother, Ada; still another version is that it was named for Caroline Price's parents, Floyd and Ada." 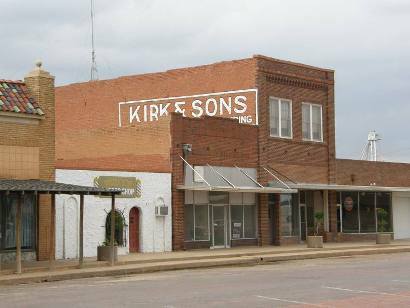 Floyd County was created by the Texas Legislature in 1876. The Fort Worth and Denver City Railway Company began building westward from Wichita Falls, resulting in increased settlement of the area. Ranchers T. J. Braidfoot and J. R. McLain formed a partnership in 1887 to establish a town they hoped to promote as county seat. 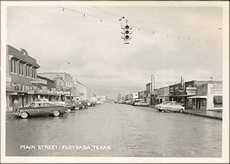 Named Della Plain, it soon boasted homes, businesses, and civic institutions. 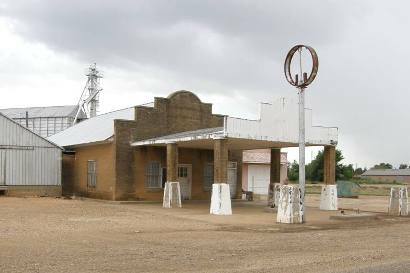 As more homesteaders settled northwest of Della Plain, a town named Lockney was created in 1889. Soon there was rivalry over which town would be named county seat. In 1890 M. C. Williams and J. K. Gwynn selected this site for a town called Floyd City. 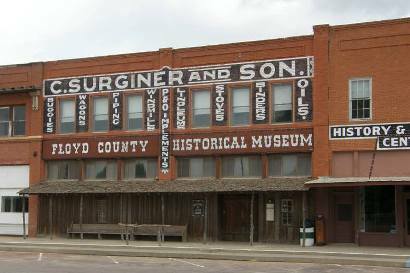 In an election held on May 28, 1890, the voters chose Floyd City as county seat. Officers elected were: Arthur B. Duncan, County Judge; John C. Hendrix, County Attorney; R. T. Miller, County and District Clerk; D. W. Jenkins, Sheriff and Tax Collector; E. E. Keeley, County Treasurer; L. C. Darby, Tax Assessor; W. M. Massie, Surveyor; and C. F. Ramsey, T. B. Michael, W. R. Vandeveer, and B. P. Merrell, County Commissioners. 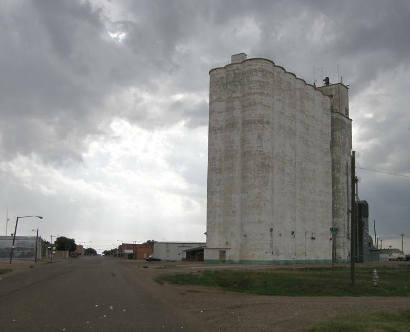 When a post office was established in September, the name of the town was changed to Floydada. Floyd County Historical Museum Hours: M-F 1 to 5. On July 19, 1891, The Rev. I. B. Kimbrough and a small group of worshipers met in the dugout home of Joe Arnold to organize the Floyd City Baptist Church. The congregation conducted early worship services in the North Side School building and at the local Methodist church. 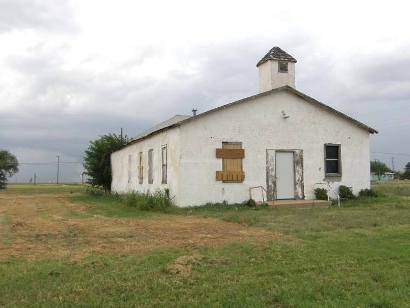 After the town's name was changed to Floydada, the church was renamed First Baptist Church of Floydada. Several traveling ministers served the congregation during its early years. The Rev. R. E. L. Muncy was called as first resident pastor in 1897, and he organized the first Sunday School in 1899. The congregation completed its first frame sanctuary at this site in 1908. Over the years additional property was acquired and larger structures were built to serve the growing membership. Throughout its history, the First Baptist Church has served the community with a variety of worship, educational, and outreach programs. The members and pastors have placed an emphasis on both foreign and home mission activities. The church continues to play an important role in Floyd County history. 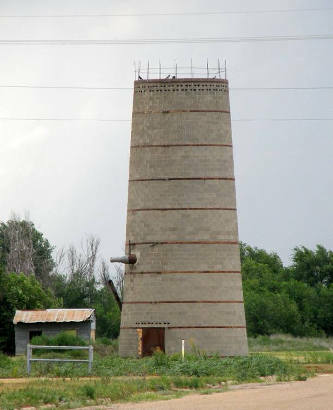 The roots of Methodism in Floyd County can be traced to the 1880s, prior to the founding of Floydada and the formal organization of the county. Circuit riding preachers ministered to pioneer settlers at Della Plain (5 mi. N), and occasional worship services were held in a general store owned by J. S. McLain. After the county was organized in 1890 and Floydada was named county seat, the Northwest Conference of the Methodist Church established a congregation here. Initially served by The Rev. W. F. Ford, the membership held worship services in the local schoolhouse. In 1902 a community church was erected in the 300 block of N. Main Street. Although legally owned by the Methodists, the sanctuary was also used by other denominations in town. The building was moved to this site in 1913 and replaced by a red brick structure in 1918. As the congregation continued to grow, plans were made for larger church facilities. New buildings were erected beginning in 1953, and the red brick church was eventually razed. For over one hundred years, the First Methodist Church of Floydada has served the community with worship, educational, and outreach programs. Alabama native William P. Daily (1865-1941) and his family arrived in Floyd County in 1911, settling briefly in the Muncy community (5 mi. N). 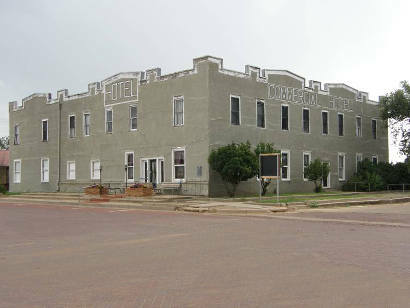 After moving to Floydada to open a feed, coal, and wagon yard, Daily recognized the need for a hotel here. Construction began in 1912, and the hotel opened in January 1913, with 21 guest rooms. Catering mostly to traveling salesmen, Daily transported them from the railroad station in a horse-drawn buggy, and allowed them to display their wares in the hotel lobby. The hotel was renamed The Lamplighter Inn in 1964. 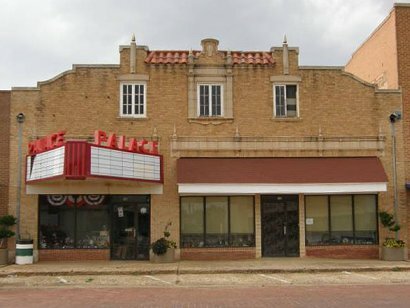 I was born and raised in Floydada, left there in 1970, and came to Pasadena Texas, but there is hardly a day that goes by that something doesn't remind me of my hometown. Some of the main things I remember as a kid growing up in Floydada was the Old Settlers Parade and the festivities that went with it. We always made sure we had a new water gun and a bean shooter, so we could squirt the pretty girls and the bean shooters were for shooting at the people we were not so fond of. Had to do a lot of running, though. We used to get up on top of the buildings downtown and watch the parade go by. I guess I have been on top of most every building downtown, except the courthouse, but I was up in the bell tower of the old courthouse that burned down in the 40's once. 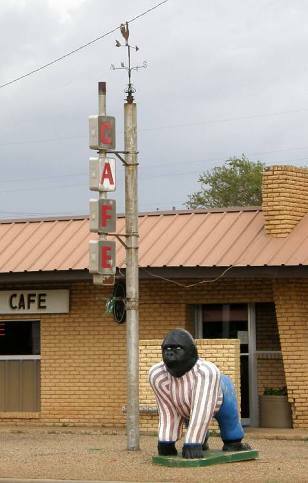 I miss Floydada very much. I wish I could have stayed there. All my folks are still there, out in the cemetery. One more thing that I remember as a kid were the medicine shows that would come through town. That was quite a thrill to watch their minstrel show and laugh at the ones who had all that black smeared on their faces. They sure sold a lot "get well medicine". I remember the boxes of candy they sold. Some of them had a winning ticket inside, most of them did not. 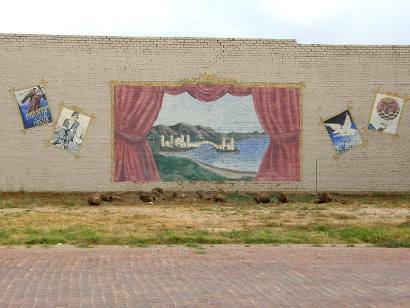 They always had the shows set up behind The Palace Theatre, right close to where Bishop Ford had their used car lot. The old courthouse had a tall set of stairs leading up to the front doors, on both sides of the stairs running from the top to the bottom was a long run of smooth concrete that the handrails were connected to, which made a perfect slicky slide. Being the young kid that I was I shortened the life of a few pairs of Levi's that were hard to come by. Another thing that I was wondering about is the old courthouse bell. It used to be lying on the ground on the west side of the jail house. One more thing that has stayed with me all these years. This was in the mid 40's before television. 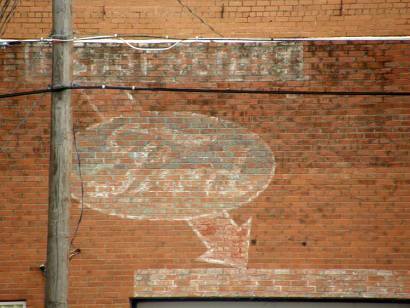 When it came time for the election of new officials, they would set up a huge blackboard right out front of the old Hesperian building which was owned by Homer Steen at that time I believe. On the blackboard they would have the candidates name listed and the number of votes they were getting. Boy! Times sure have changed haven't they? 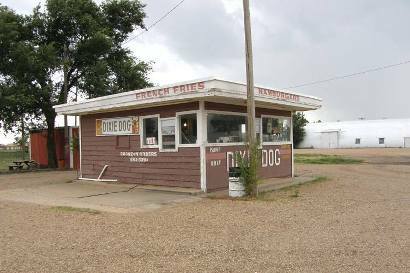 Well those are just a few things that come to mind when I remember Floydada, I am sure if I sat down and thought about it for a while I could tell you a lot more tales. Thanks for the opportunity to share some of the memories with you. My great grandfather William Thomas 揃illy� Cloyd was sheriff of Matador, Texas and also worked on the Matador Ranch.